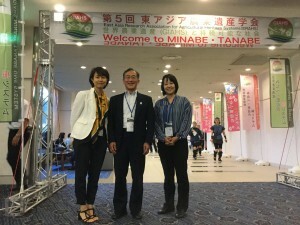 The 5th Conference of the East Asia Research Association for Agricultural Heritage Systems(ERAHS) was held in Wakayama Prefecture Minabe-Tanabe region, home to the “Minabe and Tanabe Ume System” which is designated as Globally Important Agricultural Heritage Systems (GIAHS), from 26th to 29th August 2018. 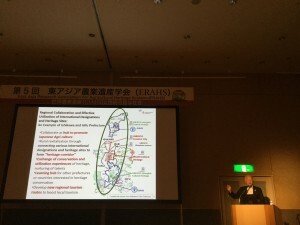 ERAHS was established at the proposal of China on the occasion of a Japan-China-Korea GIAHS workshop organized by OUIK in 2013, which aimed at promoting exchanging academic exchanges amongst designated GIAHS site at the annual conferences which the three countries take turns to host. UNU-IAS serves as the Secretariat of Japan, and from OUIK Secretary General of Japan Secretariat Ms. Mikiko Nagai, Research Associate Dr. Evonne Yiu and Advisor Mr. Akira Nagata also participated in the Conference this year. Approximately 300 participants including about 100 from China and Korea participated in this 5th Conference. On the first day, Wakayama Prefecture Governor and Director General of Kinki Regional Agricultural Administration Office graced the opening ceremony, and Prof. Kazuhiko Takeuchi, Senior Visiting Professor of UNU-IAS spoke on “Partnership with GIAHS” along with the FAO GIAHS (Scientific Advisory Group SAG) Vice-Chairperson and FAO GIAHS global coordinator gave the keynote presentations. Parallel discussions were then held in four sessions with themes on tourism, succession of GIAHS to the next generation, branding, and participation of multi-stakeholders. Following which, keynote presentations were also made by agriculture ministry’s representatives of Japan, China and Korea, then a reporting session on parallel sessions and finally a closing ceremony. On the second day, the participants made field visits to Wakayama prefecture Ume research center, Minabe town Ume promotion center, Kishu-Ishigami Ume Forest in Tanabe city, Kishu-Bincho charcoal memorial park etc. On the third day, two thematic sessions on monitoring and evaluation of GIAHS and biodiversity conservation were also held. In particular, this ERAH conference has emphasized and showcased the activities of young people such as university (graduate) students and regional cooperation youths. Suggestions such as creating a GIAHS youth network and a special group meeting by young people at the next ERAHS conference were also proposed. Also, exchange between domestic and foreign GIAHS designated sites was also active. It is expected that these exchanges and knowledge shared will be utilized to revitalize the rural area through the conservation of GIAHS. 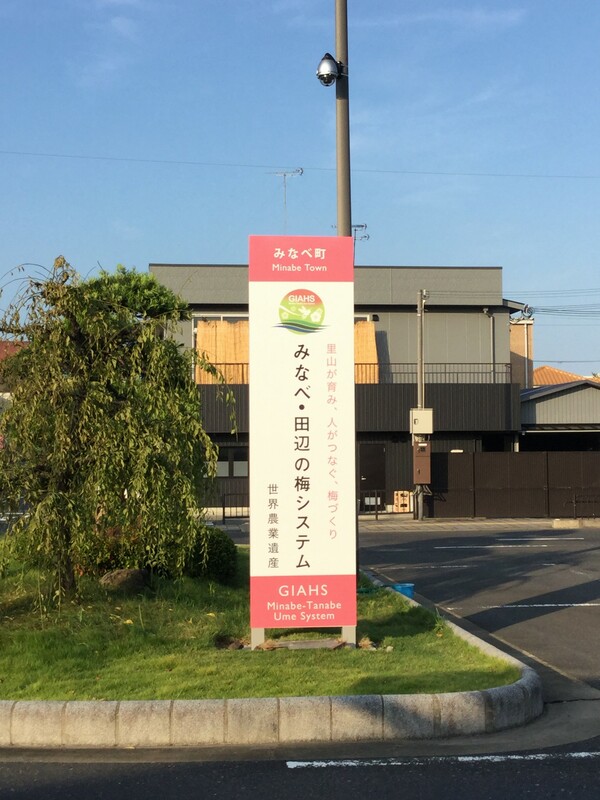 The next ERAHS will be held from 19th May (Sunday) to 22nd (Wednesday) 2019 at the GIAHS site of Hadong (tea cultivation system) in Korea.